Very creative processing; well done! Excellent capture, great color and pp! 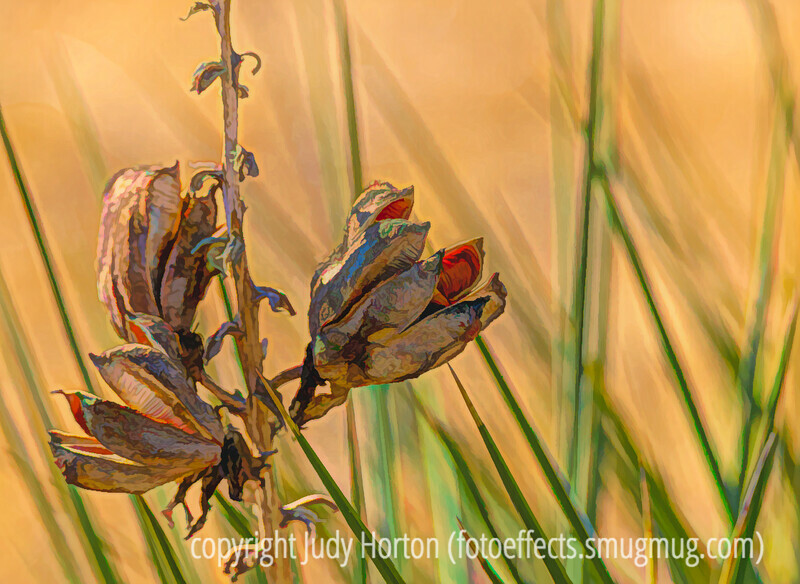 Very artistic image from the simple yucca pods. The processing preserved the 'bones' of the composition, and added perfect accents of color. I really love this. Now this is one of the coolest shots of Yucca pods I've ever seen! I LOVE the colors. Well done.